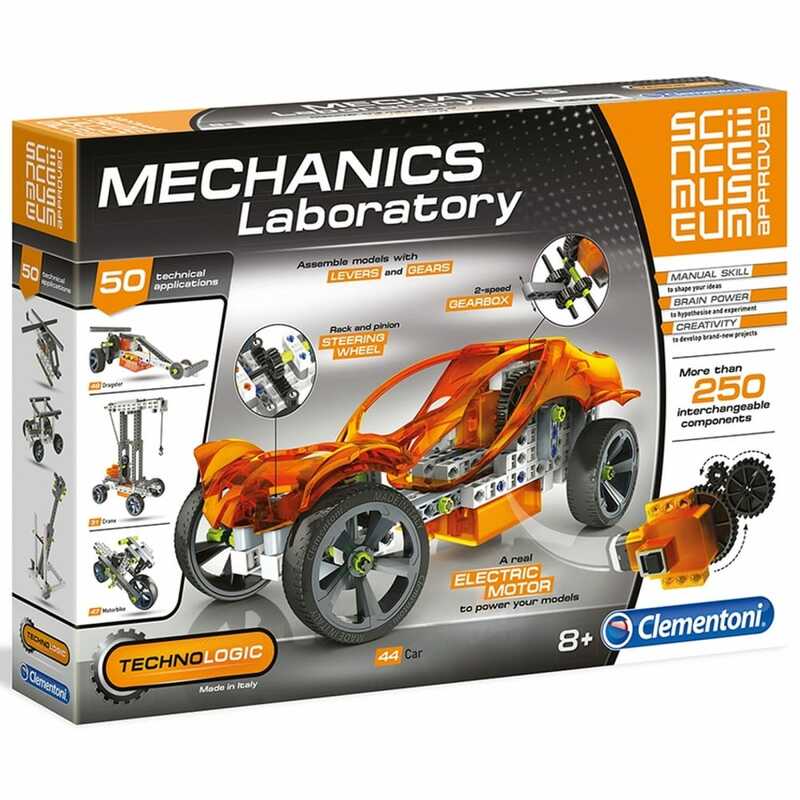 An extremely well-equipped laboratory kit where the principles of mechanics and engineering can be learned, with more than 250 interchangeable components and real electronic motor to power your model. Experiment with levers, cogs and pulleys of increasing complexity that can be created, build a motorised crane and a car with an electric engine in which a child can make the gear stick and steering wheel. The large illustrated scientific manual will guide you through the various stages of assembly.